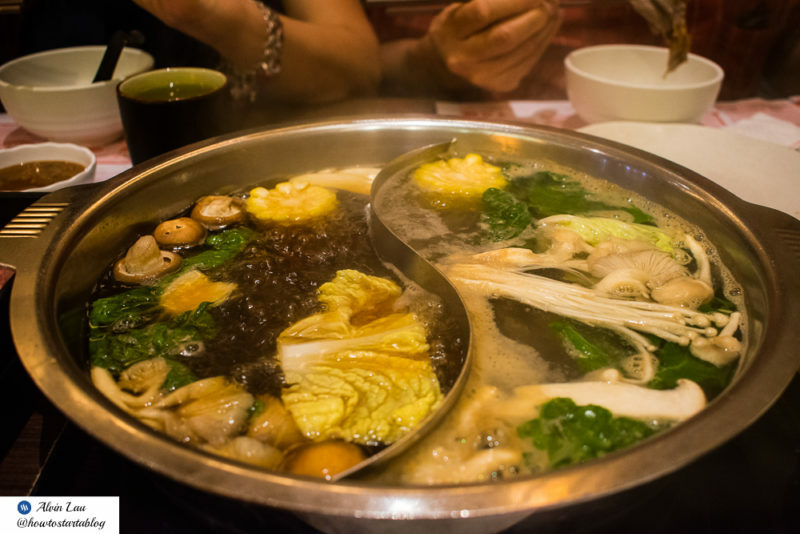 Suki-Ya is a really popular hot pot, shabu-shabu and sukiyaki buffet restaurant in Pavilion Kuala Lumpur. 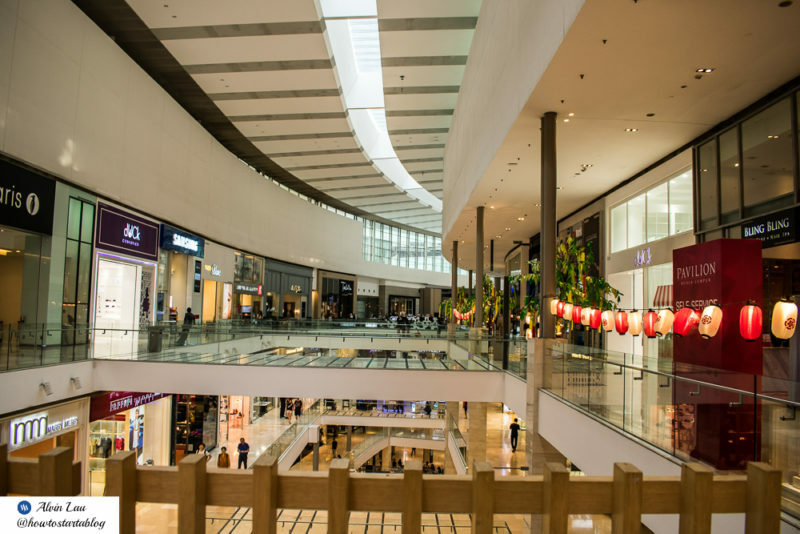 Sukiya has many branches in Malaysia and a few in Singapore. Here’s a short review of this Japanese buffet place. On most days, you’ll have to queue outside before you can even get a seat. 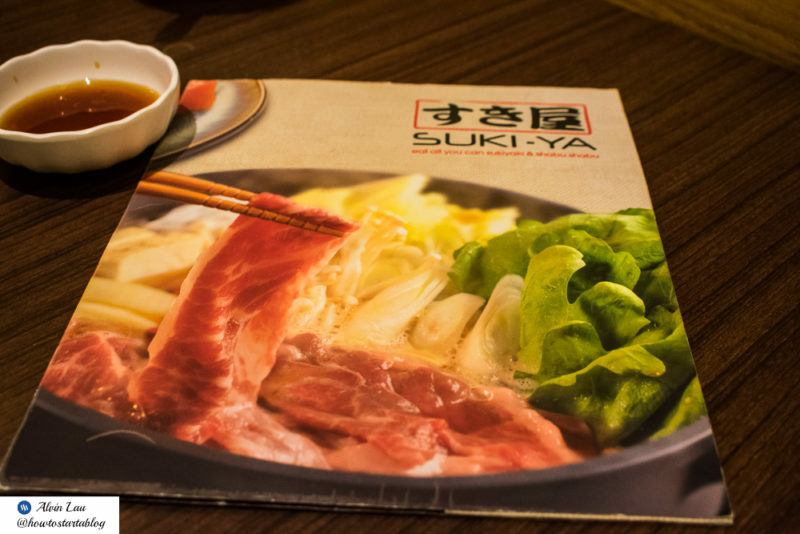 Located on Tokyo Street of Pavilion, Suki-Ya is easily the most popular eatery here. There is a time limit on how long you can eat. If I can recall correctly, it’s about 2 hours. It’s cheaper during lunch, i.e. about RM32.80 for adults and half price for children. For dinner, it’s about RM39.80. Children rates are 50% of the price for both lunch and dinner. On weekends and public holidays, it’s RM2 more expensive per person. You can also extend your stay there beyond the 2 hours if you pay RM5 for each additional 15 minutes. 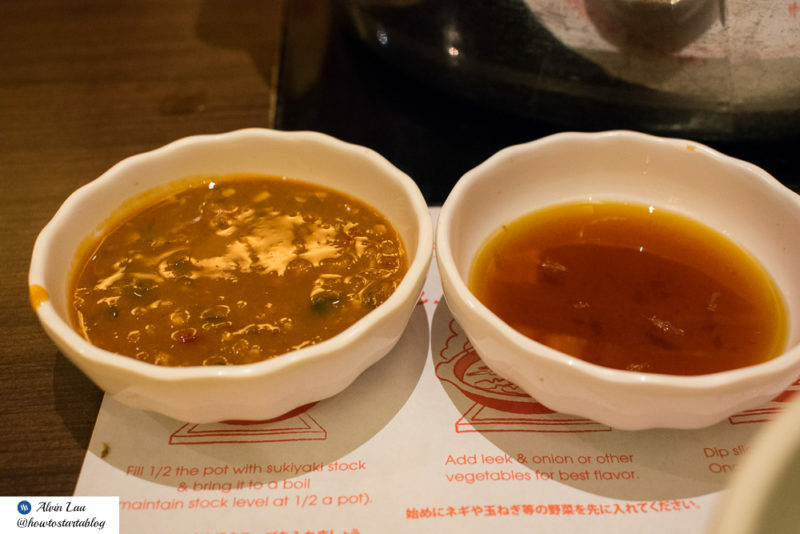 Suki-Ya has four soup bases for you to choose from. You can choose 2 out of 4. They have shabu-shabu, miso, sukiyaki and kimuchi. 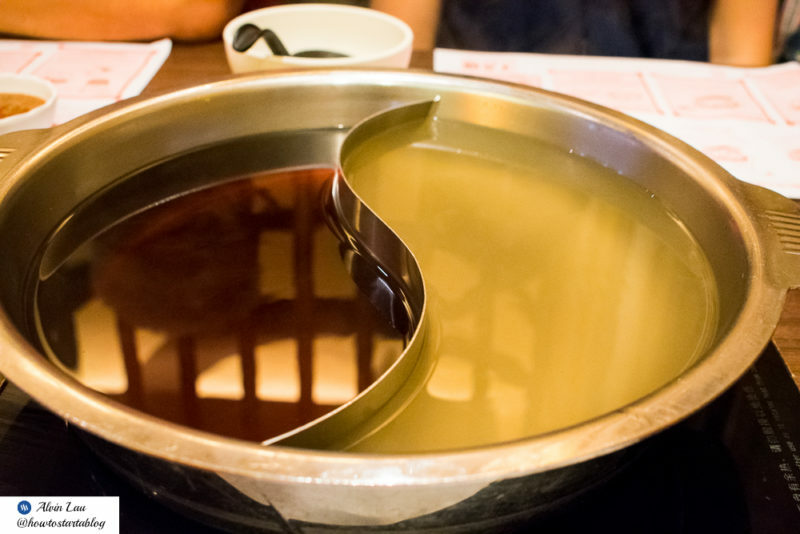 Personally, we ordered the miso and sukiyaki soup bases if I can recall correctly. They also have plenty of sauces for you to choose from. You can get them at the nearby buffet counter. The sauce on the left is a must-have! 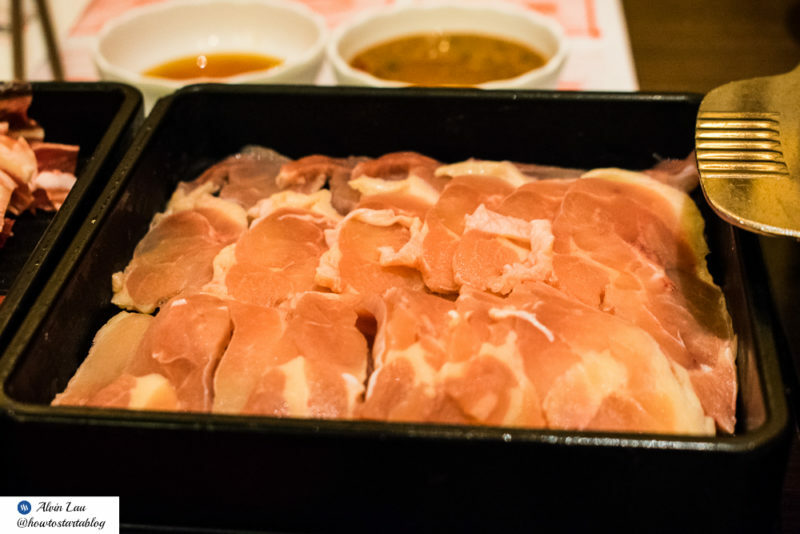 You can order as much chicken, beef or lamb as you want. 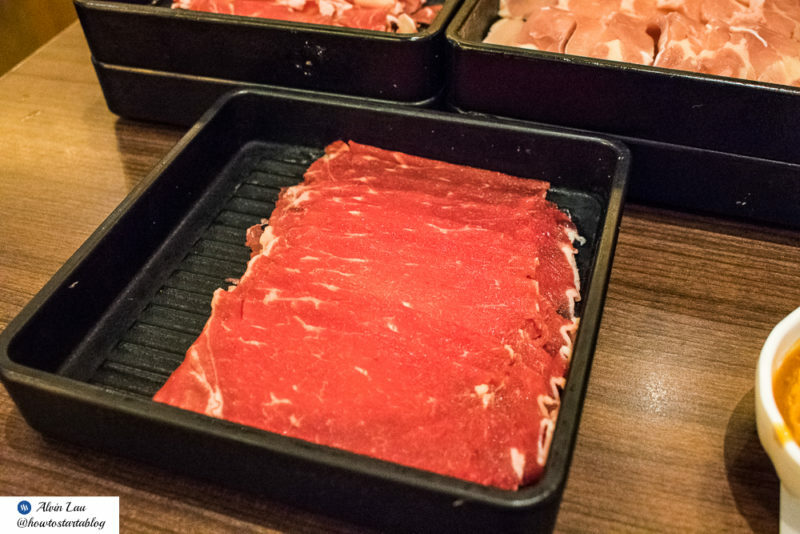 The raw meat is put into a tray and they are sliced very thinly. This makes it easy to cook them. In fact, it takes only a matter of seconds. This is probably the raw beef slices. I have difficulty differentiating raw beef and lamb slices. I’m just going to assume this is the lamb. Honestly, I prefer lamb and it’s amazing when dipped with the sauce. 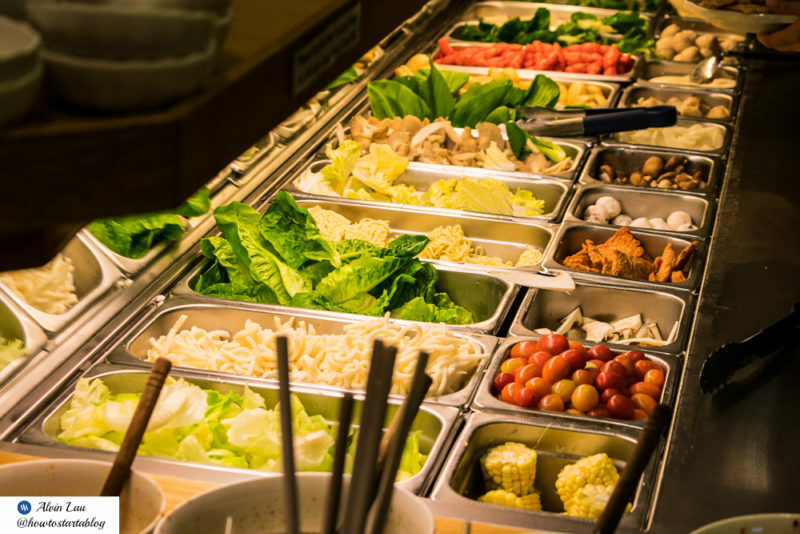 They have other food that you can grab at the buffet counter. The sushi here runs out really fast, but they do replenish it quickly. All of the vegetables, mushrooms and other food that you can put into the soup. The other ingredients like mushrooms, corn and vegetables go well with the meat. 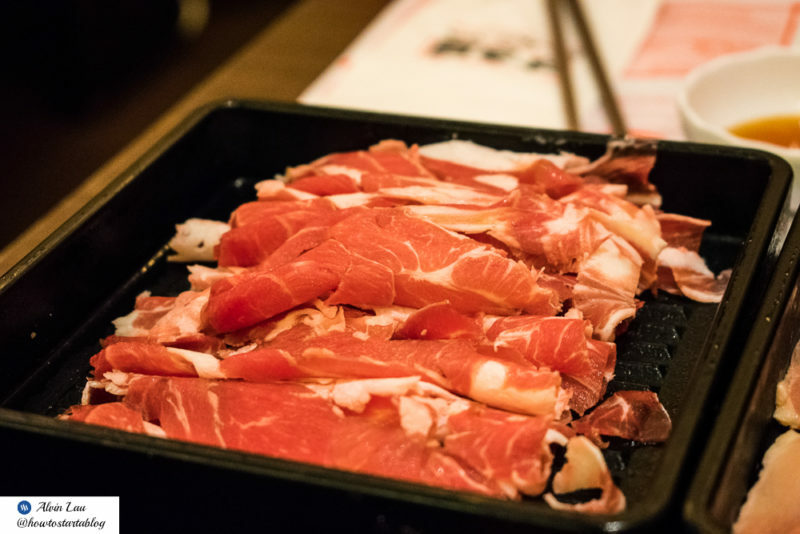 Eating so much meat alone will make you feel overwhelmed. Suki-Ya also has a dessert section, but it’s just their soft serve ice cream. They have two flavors, matcha and chocolate. You can even choose a mix of both. Just press on the button and it comes out. It’s as simple as that. 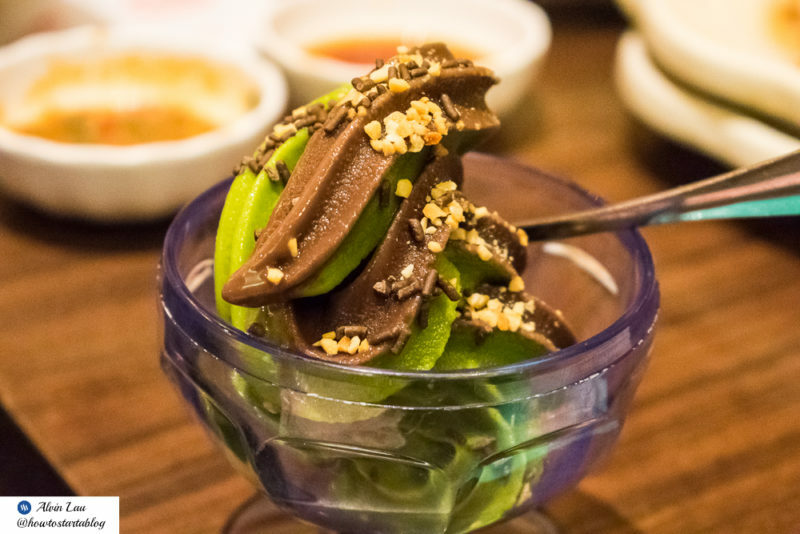 They have nuts, chocolate rice and other toppings for your ice cream too. 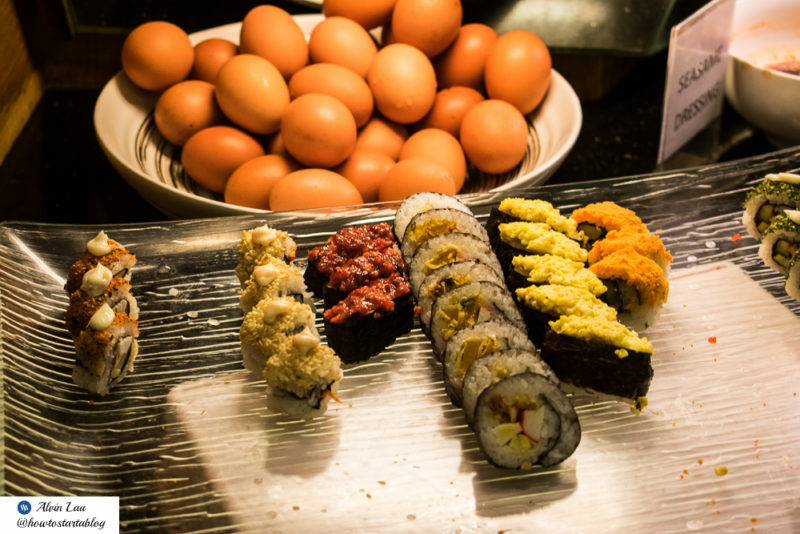 Overall, Suki-Ya is a pretty awesome buffet and it’s cheaper than most buffets around Kuala Lumpur. The affordability and taste are reasons why it’s really popular, even on weekdays. Do be warned however, that eating too much of the meat (like I did) may make you feel nauseous.